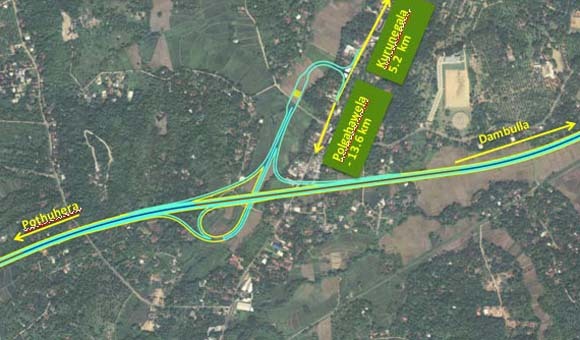 With an end to internal conflicts in the Northern and Eastern parts of Sri Lanka, the government recognized the importance of construction of an expressway bridging Northern and southern parts of the country. 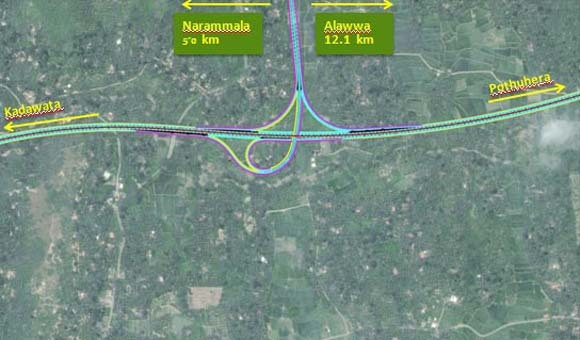 At the initial stage, Government of Sri Lanka (GOSL) decided to construct the Northern Expressway from Colombo to Dambulla including an expressway link to Kandy as a part of the proposed Expressway Network of Sri Lanka. 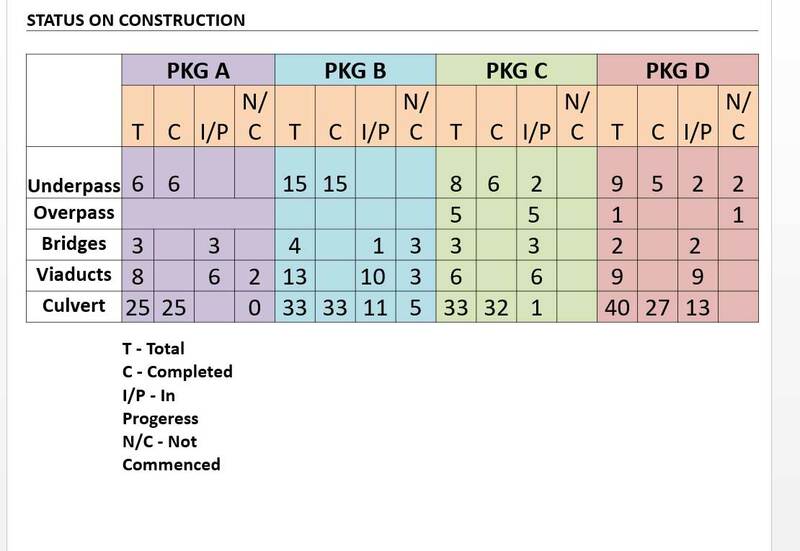 The Central expressway section-11 is a combination of selected segments of previously proposed two Expressways. 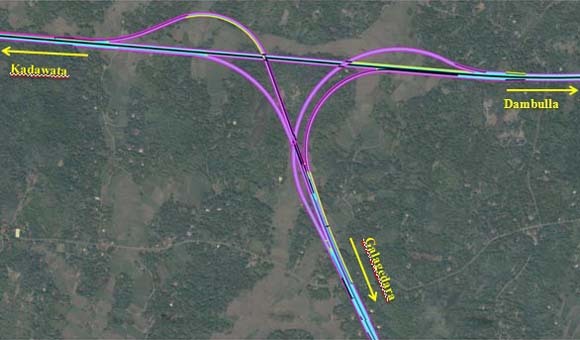 The segment from Kadawata to Gampaha remains the same alignment on previously proposed Colombo – Kandy Alternate Highway (CKAH) trace (2001 – 2011) and beyond Gampaha, the trace is the Northern Expressway trace (2011 – 2014) up to Dambulla and Kandy (Galagedara). After that GOSL decided to change the starting point of the NEP and also to implement with the assistance of Donor Agencies. 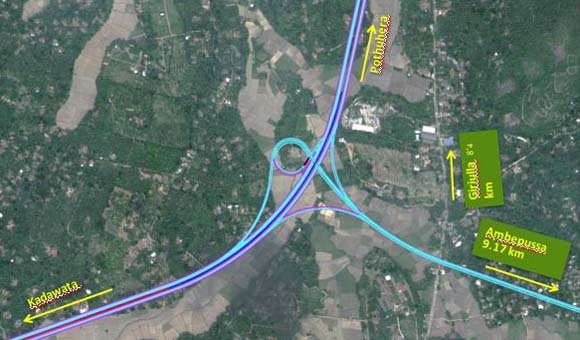 Then it was decided to change project name as Central Expressway in 2015. 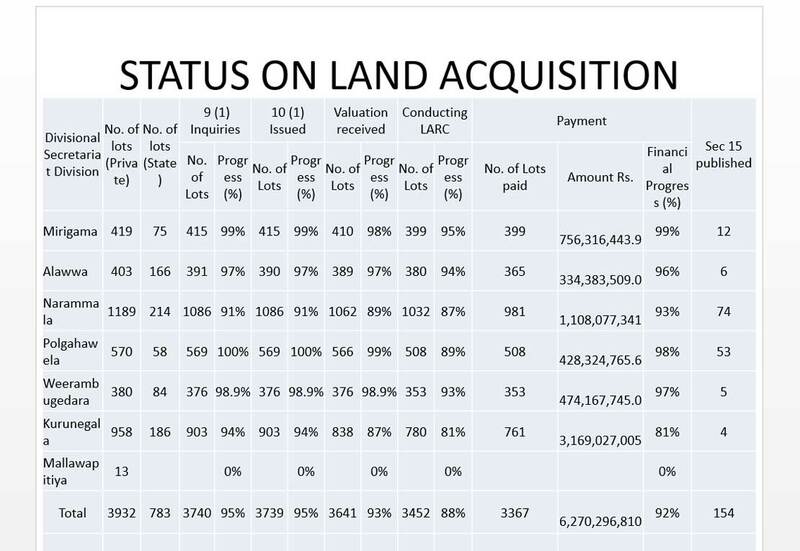 With this view, as per directions of GOSL, the Consultant, University of Moratuwa, Sri Lankacarried out a feasibility study in Amalgamation of two feasibility studies (CKAH&NEP) is in progress. 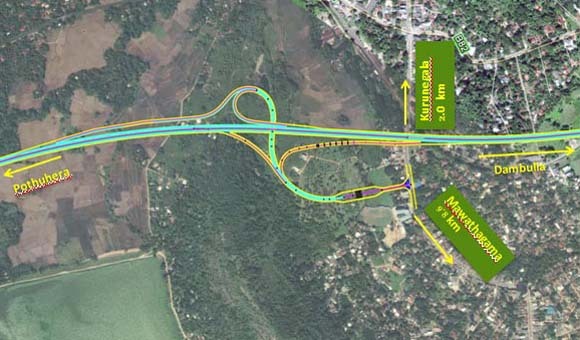 Accordingly, this expressway was proposed to commence from Kadawatha on Colombo Outer Circular Highway (E002) and ends at Dambulla on Ambepussa – Kurunagala – Trincomalee Road (A006 Road); with an expressway link to Kandy which commences from Potuhera and ends at Galageda on Katugastota – Kurunagala – Puttalam Road (A010). 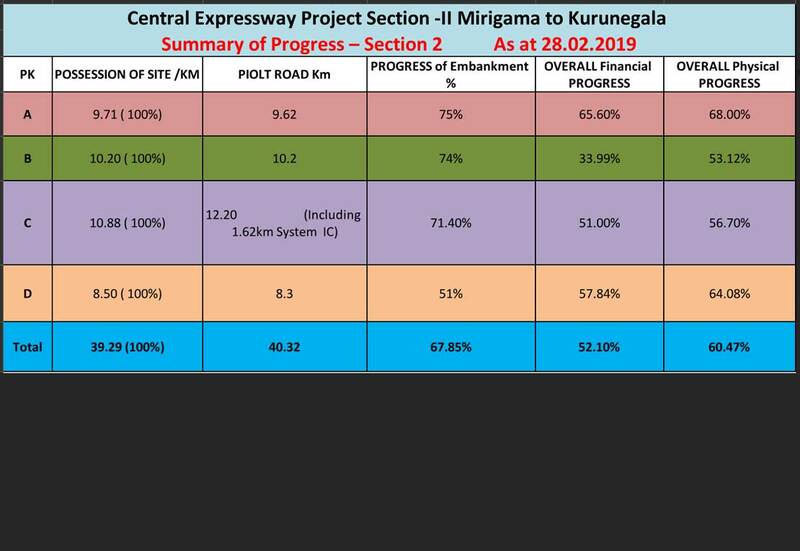 The expressway passes through the main towns such as Gampaha, Mirigama, Nakalagamuwa, Potuhera, Kurunagala, Ridigama,Melsiripura and Galewela; and the Kandy Link passes through Rambukkana and Naranwala. Improvement of the social and economic condition of area and the reduction of poverty of the people.